Will Hemp Be Powering Your Car Battery Next? Very soon hemp could be replacing your old car batteries, making them run more efficiently, environmentally safe, and longer lasting. 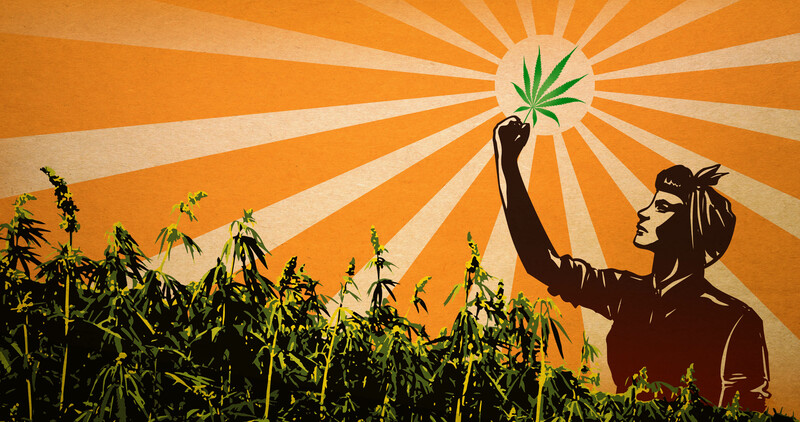 Hemp is a high-growing industrious plant in the same family of cannabis as marijuana. However, hemp differs from its medicinal brother marijuana, in that it has less than .3% of the psychoactive chemical compound THC. Hemp products have been produced all over the world including some of the strongest fibers, high-omega hemp seed food, hemp oils, waxes, resins, rope, cloth, pulp, paper, biodegradable plastics, Hempcrete (hemp based concrete) and housing insulation, and even biofuels. Fine suggests the number of uses for the hemp variety of cannabacae will take us into a new age, moving away from petroleum fuel products, and also helping us restore our soils. Bill Billings, president of the Colorado Hemp Project, has stated that new research is being done on hemp harvest that will allow the so-called “weed” to be used as a next-generation battery storage component known as a supercapacitor. “This is the kind of technology that’s going to allow a solar-powered ranch like mine to charge a week’s worth of energy into an hour of sunlight,” said Billings. So how does this work as an energy source in batteries? Well, because of hemp’s rigid shape, when reduced to nano-sized carbon atom sheets, also known as graphene, it can outperform our current technologies ability to store energy. This new technology will also replace our hazardous non-environmentally-friendly battery units, replacing a poisonous series of harmful compounds including acidic leads. Stunningly, a 2014 report from the American Chemical Society states these hemp-based batteries can be made at 1/1000 of the cost of our current energy systems. Jim Brammer, a local Colorado hemp farmer states that a “20-acre hemp farm in Vermont would bring in a revenue of$336,000 just for its seeds.” These are outstanding numbers in the upcoming business, holding great promise for future farmers, especially given the downfalls of our economy in previous years. The Canadian hemp industry has grown 24% per year and is in its 16th legal year of hemp growth, reaching over a billion dollars revenue in 2014. What do you think of these new proposals for a stronger more efficient energy technology made from the hemp plant? Let us know your thoughts on our social media page or in the comments section below.